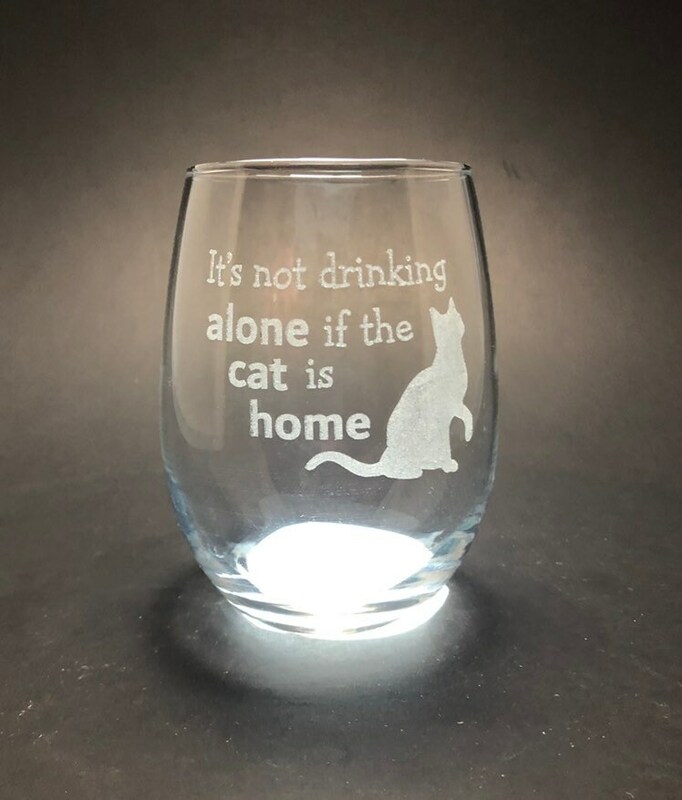 A 15 oz stemless wine glass with It's not Drinking Alone if the Cat is Home etched on it. These glasses make for a great all-purpose glass. 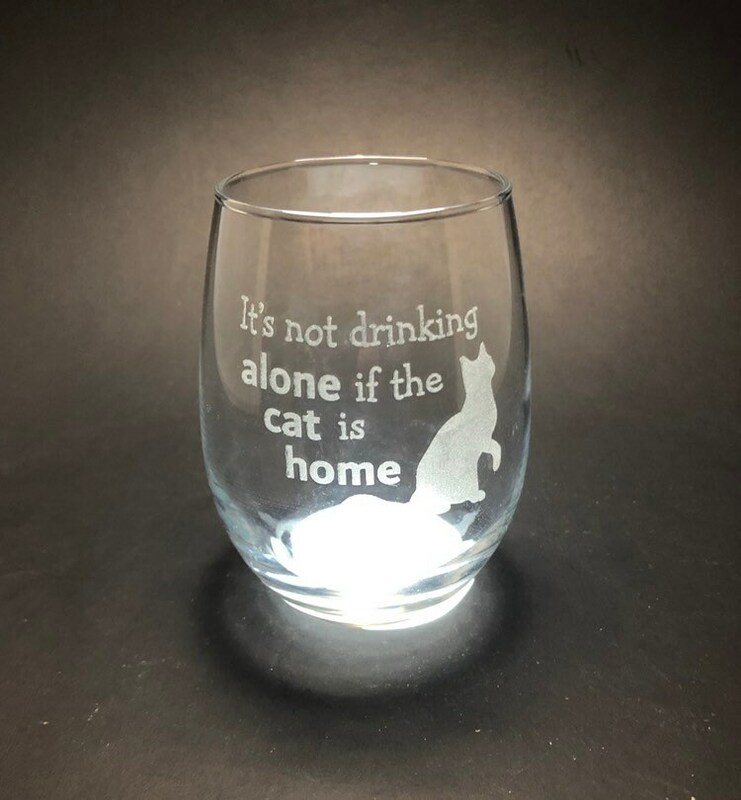 These are suitable for wine, water, soda or any other drink you enjoy around the house.